David Reynolds has described the years 1940 and 1941 as the “fulcrum” of the twentieth century for their long-lasting impact and influence. 1 The period from Germany’s conquest of France in June 1940 to the start of the Japanese offensive in the Pacific in early December 1941 witnessed some of the most iconic events in modern history: the Battle of Britain, the Lend-Lease Act, and Operation Barbarossa, the German invasion of Russia. Decisions taken in these 18 months established the broad framework within which the Second World would be fought. This paper seeks to highlight an intersection of cooperation and suspicion in Anglo-American naval relations in the spring of 1941 by examining debates over warship deployments and repair work that occurred as part of the ABC-1 military staff talks in Washington. Historians have not given sufficient attention to the role of industrial facilities such as shipyards and dry docks in shaping the development of Anglo-American relations during the Second World War, an oversight this paper attempts to address. At the ABC-1 talks that began on January 29th, 1941, negotiations over British and American defense policy in the Pacific intersected with preparations being made to repair British warships in the United States under the Lend-Lease Act. The interaction between the two navies during these talks illustrates spheres of shared interest, such as the security of Atlantic shipping lanes, as well as spheres of conflict, such as the role of the U.S. Navy in the Pacific. As a result of these dichotomous elements, the ABC-1 staff talks produced an agreement designed to reinforce the British naval position in the Far East through rather roundabout methods. The U.S. Navy would send ships from Pearl Harbor to the Atlantic to take over duties from British warships in the Atlantic and Mediterranean. This movement would free up British warships in the Atlantic to be sent as reinforcements to the naval base at Singapore. The combination of cooperation and competition between the two navies resulted in a program similar to a game of naval “musical chairs”, played out on a global scale. The debates that prosduced this agreement are best understood in the context of the industrial infrastructure available to the U.S. Navy and Royal Navy in the late 1930s and early 1940s. The status of fleet maintenance facilities at various bases throughout the world would repeatedly shape the development of Anglo-American naval relations in 1940 and 1941. 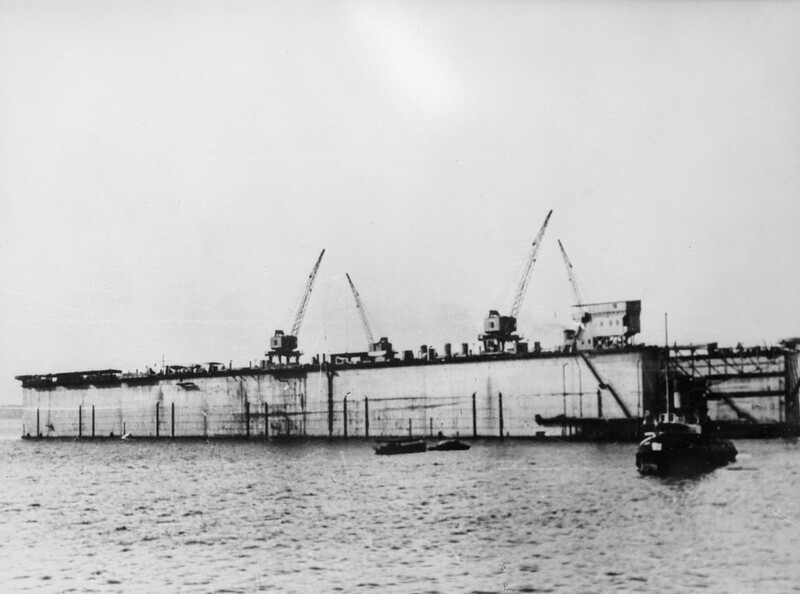 After achieving prodigious feats of production in the First World War, shipbuilding facilities in the United States and Britain found naval contracts for new construction scarce after the Washington Naval Treaty of 1922. At the same time, the growth in warship size since the turn of the 20th century left many overseas naval bases incapable of docking or servicing the largest warships. The switch from coal to oil as fuel as well as the increase in warship length and displacement meant that by 1920 Singapore was the only British naval base in the Far East with a capital ship dock. In the United States in 1919 the only docking facilities for capital ships were at Norfolk and New York. 6 Throughout the interwar period, both navies sought to develop bases capable of servicing large fleets in the Pacific, but financial constraints combined with the Washington Naval Treaty’s ban on fortifications prevented either from accomplishing this goal. 7 Expansion of Singapore’s facilities was also delayed by the Ten Year Rule, the assumption in British defense policy that no major conflict would occur for the next ten years which was adopted in 1919. 8 These limitations of American and British bases in the Pacific would shape debates over deterrence policy in 1940 and 1941. Beginning in 1936, British naval rearmament began to restore vitality to an industry that had been in stark decline during the 1920s and early 1930s. Rearmament emphasized warships construction and did not significantly expand Britain’s capacity for fleet maintenance, either at home or overseas. The Royal Navy filled private shipyards with warship construction, leaving little capacity for ship repair and forcing repair and maintenance work into the Royal Dockyards, concentrated in southern England. The industry also suffered from structural weaknesses such as labor difficulties, managerial resistance to adopting new techniques such as arc welding, physical and geographic constraints, and low levels of government financial support compared to the United States. As a result, by the fall of 1940 the British shipbuilding industry proved incapable of meeting wartime demands for repair and refit work. German air attacks on the critically important southern Royal Dockyards exacerbated the problem by reducing the Royal Navy’s repair capacity just as demand was increasing. The result of all these factors was a growing backlog of damaged warships awaiting repair and refit work, creating a repair crisis in the winter of 1940-1941. In search of additional repair capacity, Britain would turn to the United States in the spring of 1941. American naval rearmament began slowly in 1933 when the National Industrial Recovery Act authorized limited warship construction. Incremental increases followed throughout the 1930s, especially the Vinson-Trammel Act of 1934. After the fall of France in June 1940, the Two Ocean Navy Act authorized a 70% increase in the size of the U.S. fleet. By 1941 the U.S. Navy’s naval rearmament program had reached its peak. Investments made in the shore establishment throughout the 1930s had expanded the industrial facilities in U.S Navy Yards on both coasts, increasing their repair capacity. Although these upgrades and expansions in public shipyards were intended to meet the maintenance needs of the U.S. Navy, the additional repair capacity would be put to use in 1941 to return damaged British warships to service. As international tensions grew in Europe in the late 1930s, British planners were forced to reevaluate their plans for defending the Far East. The ever expanding war between Japan and China combined with German rearmament presented serious challenges to Britain. The Admiralty clearly understood that the Royal Navy lacked the strength to operate simultaneously against Germany, Italy, and Japan. From their perspective the obvious solution was to persuade the United States to make a naval contribution to the defense of the Far East. British efforts to obtain such an American guarantee date back to the naval staff talks held in Washington in January 1938 when the two nations considered and ultimately rejected a plan to blockade Japan after the Panay incident. 9 The British hoped that the Americans could be persuaded to send a squadron of heavy warships from the Pacific Fleet, but recognized that the commitment of the smaller Asiatic Fleet to the defense of Singapore would also provide meaningful cooperation. As part of these efforts in April and May 1940, the British repeatedly promised the Americans that the repair facilities at Singapore would be open to any U.S. Navy squadron assigned to the base. 10 For their part, the Americans already had access to docks and repair facilities in the Philippines, so the Singapore offer held little attraction from a maintenance perspective. The subject of American ships operating from Singapore rose again in the late summer of 1940 when Rear Admiral Robert Ghormley’s mission arrived in London for a series of talks with British commanders and planners. The combination of France’s surrender, Italian belligerence, and the ongoing German threat to the Atlantic shipping lines occupied the bulk of the Royal Navy’s resources, leaving only a small force of cruisers and destroyers for the Far East. As a result, the Admiralty entered the Ghormley talks with the goal of obtaining assurances form the Americans that the U.S. fleet in the Pacific could be counted on to protect British interests. 11 The American Chief of Naval Operations, Admiral Harold Stark, was open to the idea of basing light forces from the U.S. Asiatic Fleet at Singapore as part of a delaying strategy against Japan. However, Ghormley lacked the authority to make political commitments and the ensuing talks focused on technical matters such as standardizing fleet to fleet communication. 12 Ghormley did ask if the Royal Navy would be able to reinforce Singapore if American battleships were transferred from Pearl Harbor to the Atlantic. The First Sea Lord, Admiral Dudley Pound, explained that any British reinforcements for Singapore would have to come from forces stationed at Gibraltar and that if American battleships operated from Gibraltar, then reinforcements could be sent to Singapore. 13 While no commitments on such movements emerged from this meeting, the ABC-1 agreement would later incorporate Ghormley’s proposal for indirectly reinforcing Singapore. Ghormley’s proposal reflected both American domestic politics (Washington did not want to be seen guarding the British Empire) and the pressures of the war in Europe (the Royal Navy would only release ships for the Pacific after the American reinforcements arrived in the Atlantic). What it did not reflect was any sense of urgency about reinforcing Singapore. As the United States slowly expanded its aid to Britain with the Destroyers for Bases Deal in September 1940 and the announcement of Lend-Lease in December 1940 by President Roosevelt, the Royal Navy worked diligently to get the U.S. Navy to Singapore. When the Admiralty proposed staff talks to Ghormley in October 1940, the British assumed that the U.S. Navy would reinforce Singapore in the event of a war with Japan. 14 On January 7th, 1941, Ghormley sent Stark a proposal from Pound calling for nine American battleships to operate from Singapore until Germany was defeated. 15 British efforts during the ABC-1 talks to get the Americans to commit to Singapore represented a continuation of these propositions. Furthermore, the British and Americans held divergent opinions about what could be expected from the other side. The U.S. Navy entered the staff talks determined to avoid American interests being subordinated to British ones, as was thought to have occurred during the First World War. Furthermore the U.S. delegates were suspicious that the British intended to achieve precisely this outcome. Admiral Stark and other American commanders were convinced that since the U.S. Navy would provide the bulk of Allied forces for the Pacific, the American conception of Pacific strategy must prevail. 18 A comment on the impact of superior American naval strength on NATO’s maritime strategy seems applicable to Pacific policy in 1941:“The little boy who owns the baseball usually gets to pitch.” 19 The American position was complicated by the fact that U.S. planners viewed assistance to Britain and assistance to the British Empire as entirely separate propositions. 20 On the British side, divisions regarding the position to be taken over Pacific strategy with the Americans were stark. Pound and the Royal Navy demanded for reinforcements from Singapore, from the Americans if necessary, while Churchill preferred to retain the status quo in the Pacific if asking the Americans to defend Singapore would delay American entry into the war. The ABC-1 talks began on January 29th and continued until March 29th under great secrecy. British and American officers discussed joint strategy against Germany while just down Pennsylvania Avenue, administration officials promised Congress in hearings that the Lend-Lease Act would not bring the United States into the war. The most significant outcome of the talks was the American commitment to a Germany First strategy in the event that the United States became involved in the war. However, the talks also dealt extensively with naval dispositions in the Pacific and efforts to deter Japan. In reply to the British call for American ships to defend Singapore, the Americans resurrected Admiral Ghormley’s proposal during his mission to London in August 1940, namely that the U.S. Navy would reinforce British forces in the Atlantic and Mediterranean, freeing up sufficient Royal Navy warships to allow the British to reinforce the Far East. 23 This compromise approach, suggested by the U.S. Army, called for American battleships, carriers, and cruisers to protect convoys in the Atlantic from attacks by German raiders, particularly troops convoys. 24 The Americans supported their proposal by noting that British lines of communication to Singapore were much more secure than would be American connections from the West Coast to Singapore. While this was certainly true, the American proposal also served two long-standing American goals and reflected American attitudes about British strength. The U.S. avoided being saddled with the unilateral defense of British colonies and the British would be forced to make a significant contribution to deterring Japan. 25 Furthermore, American willingness to reinforce the Atlantic was at least in part based on a less optimistic view of Britain’s chances for survival than was held in London. 26 The British themselves had helped to create this perception by repeatedly highlighting their need for American aid. Churchill privileged political considerations, namely enhancing Anglo-American cooperation, over the Royal Navy’s commitment to obtain American support for the British concept of Far Eastern deterrence. Churchill’s insistence on not unnecessarily antagonizing the other side was not reciprocated by the American delegation, which chose to use a British request for help as an opportunity to further disparage British deterrence policy in the Pacific. The request to repair the Illustrious in the United States gave the U.S. Navy delegates at ABC-1 an opportunity to strengthen their arguments against the Royal Navy’s call for American warships to defend Singapore. 35 The Navy Department did not respond directly to the repair request, but asked why the Illustrious could not be repaired at Singapore. 36 When told that Singapore lacked the parts or facilities to perform the work, Admiral Royal Ingersoll concluded that the British request demonstrated that “Singapore is not considered as a suitable place by the British for the repair and upkeep of aircraft carriers or large cruisers and shows the difficulty that we might have if we sent aircraft carriers or large cruisers to base in Singapore.” 37 The Americans left the Illustrious request unanswered for the time being, but the request for repair work in the U.S. and the subsequent admission of Singapore’s deficiencies as a repair facility ended whatever fleeting possibility remained of a large U.S. fleet operating from Singapore. The political response by the U.S. Navy to the Illustrious request created an air of uncertainty between American and British naval leaders in February and March 1941 on the subject of repairs. The American response caused the Admiralty doubt the U.S. Navy’s willingness to aid the Royal Navy. In particular, the British questioned whether the United States would actually perform the repair work on British warships authorized by the Lend-Lease bill under consideration in Congress. 38 While the Lend-Lease Act is best known for providing equipment and supplies to Britain without requiring payment in cash, in the spring of 1941 the Royal Navy was more interested in the access to American repair facilities granted by the Act. These lingering British concerns proved to be unfounded as attitudes in the Navy Department had shifted since February, in part due to greater involvement of civilian leaders, namely Roosevelt and pro-British Secretary of the Navy Frank Knox. The President responded in the affirmative to Churchill’s request on March 25th, saying that he would be “delighted” and promising to “expedite the work”. 45 Secretary Knox had informed the President the previous day that he had already told the Admiralty that U.S. shipyards would be used to repair British warships. 46 In fact, as early as March 14th Knox had directed Admiral Stark to cooperate with the British in performing repair work on damaged British warships. 47 Stark met with his subordinates on the 18th to prepare for repairing British warships. 48 Knox also had one of his special assistants, Joseph Powell, investigate the repair capacity available in American shipyards for British warship repair. 49 Despite Roosevelt’s approval, the Admiralty understood that the Navy Department’s buy-in would be critical if the British were to receive maximum use of American shipyards. These two episode illustrates the state of Anglo-American naval relations in 1941. The British became uncertain about the U.S. Navy’s commitment to provide aid due to the American response to the Illustrious request and sought reassurance from the President, whose attitudes toward Britain were better known. Within the U.S. Navy, Secretary Knox took the lead on the repair program and aid to Britain, using his position as Secretary to get the bureaucratic wheels turning. While the repair program expanded rapidly to meet the Royal Navy’s requirements, the ABC-1 agreement proved to take longer to implement. In accordance with the ABC-1 agreement, President Roosevelt agreed on April 3rd to transfer three battleships, an aircraft carrier, and escorting vessels from the Pacific Fleet to the Atlantic Fleet for the purpose of freeing up British warships for service in the Indian Ocean. However, growing tensions with Japan led the President to limit the transfer to a single carrier and escorts on April 18th. The ensuing Cabinet discussions perfectly illustrate the political, strategic, and diplomatic forces governing American naval deployments in 1941. Secretary of State Cordell Hull argued against any transfer of strength away from the Pacific, concerned that this would send the wrong signal to Japan. Knox and Secretary of War Henry Stimson viewed aid to Britain as a higher priority and pressed Roosevelt to implement the original transfer agreement. 52 The two went so far as to enlist Prime Minister Churchill’s aid, arranging for messages of support from the British Defense Committee and the British Chiefs of Staff. 53 Eventually, on May 13th, Roosevelt relented and authorized the full transfer, paving the way for British reinforcement of the Eastern Fleet. However, this reinforcement could not take place until American shipyards repaired sufficient numbers of British warships for service in the Far East. The British began to slowly but steadily reinforce their position in the Far East throughout 1941 as a part of the ABC-1 agreement. For the Royal Navy, the actual reinforcement did not begin until December 1941 and the Eastern Fleet did not reach full strength until March 1942. The delay between the policy decision and the operational change highlights the critical role played by American shipyards in allowing the British to recreate the Eastern Fleet. Scholars have previously attributed the British ability to reinforce the Eastern Fleet to the relief provided by the U.S. Navy when Roosevelt authorized the ABC-1 transfer of American warships from the Pacific to the Atlantic. 54 However, this focus does not explain the timing of British naval reinforcements arriving in the Indian Ocean. While U.S. naval assistance did provide some relief in the Atlantic, the British ability to reinforce the Eastern Fleet in spring 1942 depended heavily on U.S. Navy Yards returning British warships to service. The repair program in America provided the Royal Navy with the additional warship capacity to implement the ABC-1 transfer agreement and reinforce the Far East, albeit nine months late. Soon after arriving at Singapore, the Prince of Wales and Repulse were sunk by Japanese aircraft not at all deterred by the presence of these warships in the Far East. The Japanese offensive into the Pacific caught the Anglo-Americans in the midst of their global naval reinforcement plan. While the Americans had supplemented their forces in the Atlantic, the British were still in the process of reinforcing their forces in the Far East. The British concept of actively defending British possessions in the Pacific proved ineffective with the forces allocated to the theater. Ultimately the American plan to recapture bases taken by the Japanese would shape the course of the Pacific War. The debates and discussions between the U.S. and Royal Navies in early 1941 over naval deployments and fleet maintenance illustrate a transition period in Anglo-Americans relations. The two sides’ views of one another were colored by suspicions and doubts left over from the First World War. Washington saw British schemes to get the U.S. military to defend the Empire at every turn while London did not share the overriding American concern with securing the Western Hemisphere. These suspicions were balanced by cooperation in arenas of interest to both the U.S. and the U.K., namely the security of the United Kingdom and the North Atlantic shipping lanes. Disparities in national strength also shaped each side’s willingness to cooperate and compromise. The Royal Navy benefited from the ongoing growth in American industrial capacity, the same capacity that would propel the U.S. Navy into position as the world’s premier naval power by 1945. The ABC-1 agreement represented one of the first instances in Anglo-American military relations where American strength (naval strength in this case) played a significant role in shaping the outcome. However in 1941, the U.S. Navy still viewed the Royal Navy as the fleet to be emulated and was keenly aware of its junior partner status. With respect to roles and relationships, the spring of 1941 truly was a “fulcrum” in Anglo-American naval relations. 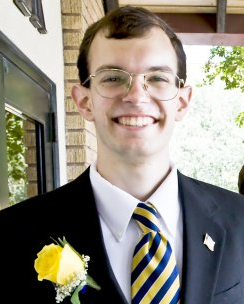 Corbin Williamson is a Ph.D. candidate in history at Ohio State University. His dissertation examines relations between the American, Australian, British, and Canadian navies from 1945-1953. He holds an M.A. from Texas Tech University and has published an article on warship repair under Lend-Lease in Diplomatic History. 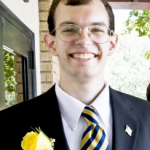 He currently works as a contract historian in the Historical Office of the Office of the Secretary of Defense and will be joining the faculty of the College of Distance Education at the Naval War College as a Fleet Professor this fall. This entry was posted in Article and tagged abc-1, abc-1 talks, American, anglo, Churchill, fdr, history, Naval History, roosevelt, world war two, WWII. Bookmark the permalink. In “Pearl Harbor” by Craig Nelson sourced from “USS Arizona” by Joy Waldron Jasper a story from a survivor of the Arizona named Lawson about a British cruiser putting into Pearl Harbor in the spring or summer of 1941 after previous temporary repair in the Philipines to repair torpedo damage to the bow that had rotting bodies in closed off compartments that could be smelled around the harbor. He referred to it as the “death ship”. I find this story to be totally bizarre like our current “fake news” but am wondering if there could be any truth to it. Thank you for your attention and time.